WH Staffers "Terrified" About Omarosa's Next Move - Joe.My.God. A daily trickle of revealing internal conversations between staffers. Growing anxiety about what one might have once said. No sense of how long it will go on. 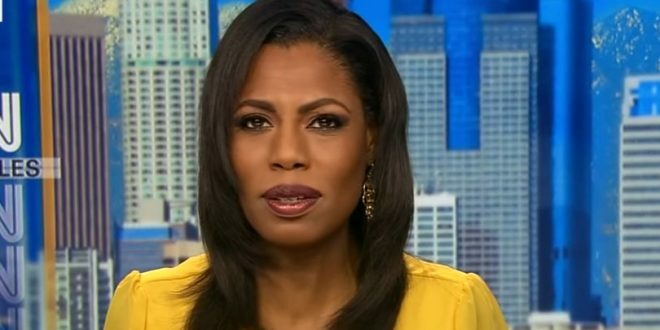 Omarosa Manigault Newman’s slow release of secretly taped conversations from inside the Trump campaign and White House is having the same effect on staffers as the daily dumps from WikiLeaks had on Hillary Clinton’s 2016 campaign, when chairman John Podesta’s emails were trickled out during the final stretch of the race. “People are terrified,” one former Trump aide said of the tapes. “Absolutely terrified.” The latest reveal indicates that Manigault Newman isn’t just trying to discredit President Donald Trump, who is the subject of her book, “Unhinged.” In her crusade for publicity and payback, she’s willing to embarrass and expose her former colleagues along the way.